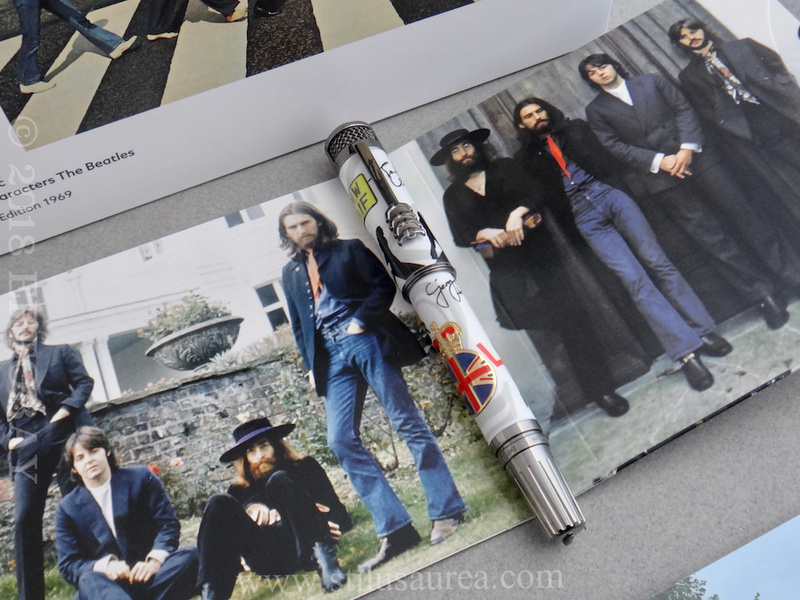 The Beatles (John Lennon, Paul Mc Cartney, George Harrison, Ringo Starr) were and are known as one of the most influential rock band worldwide. 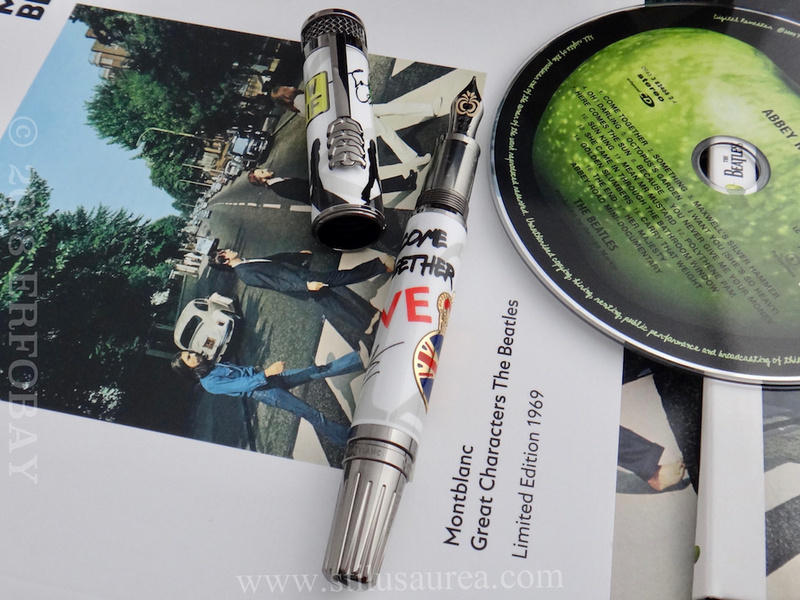 Formed in Liverpool in 1960 they debuted with their first single “Love me do” in October 1962 and immediately became an institution thanks to their explorations and mix of different music styles, combined with unconventional recording techniques and use of music videos. 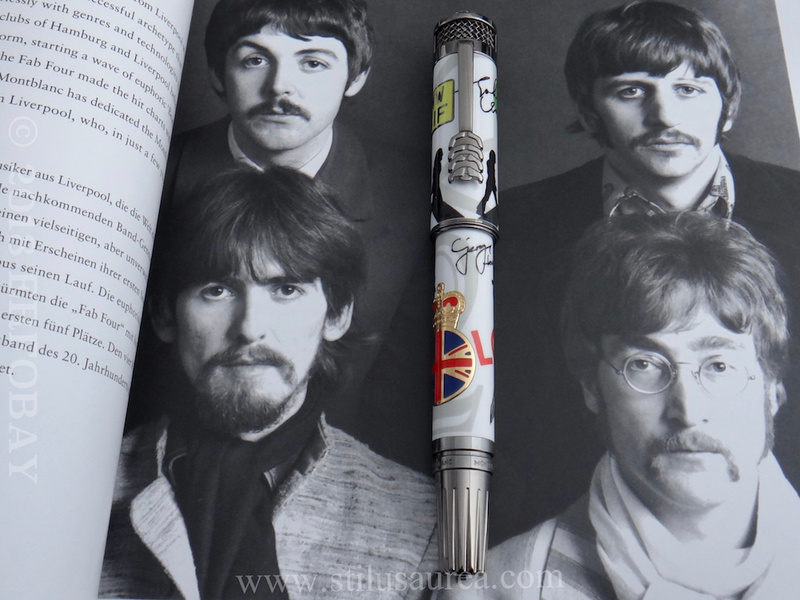 But Beatlemania was not only about music: it was almost a concrete social movement, part of the counterculture of the 1960s, where the two songwriters in particular were perceived as embodiments of the movement ideals. 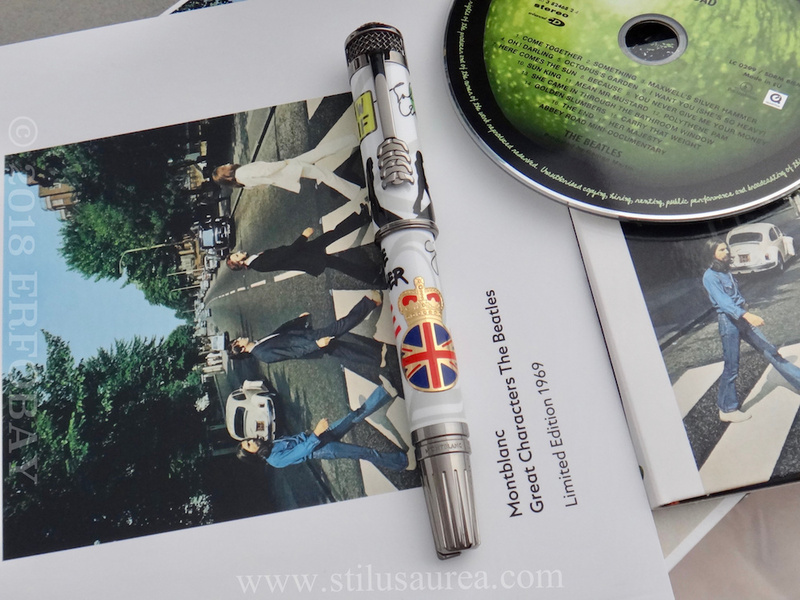 After the immediate success in England the Beatlemania spread all over the world, leading the British Invasion of the United States pop market. 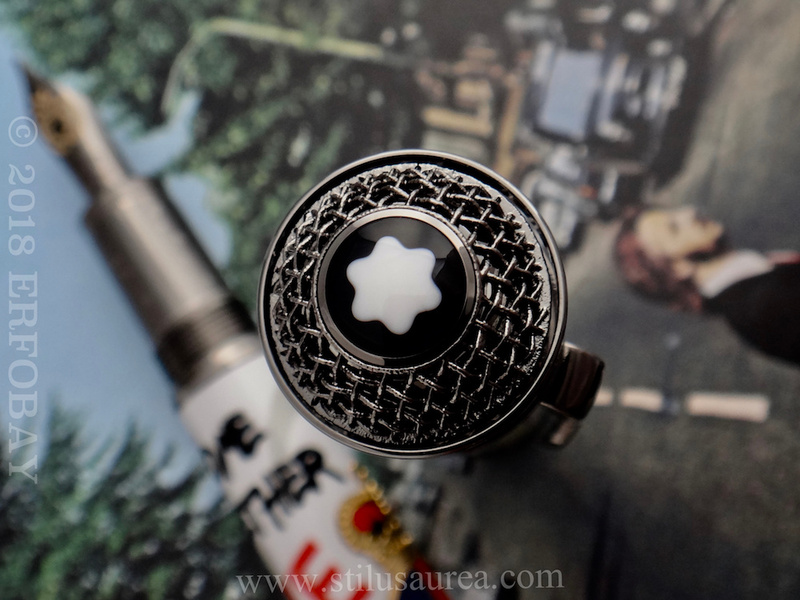 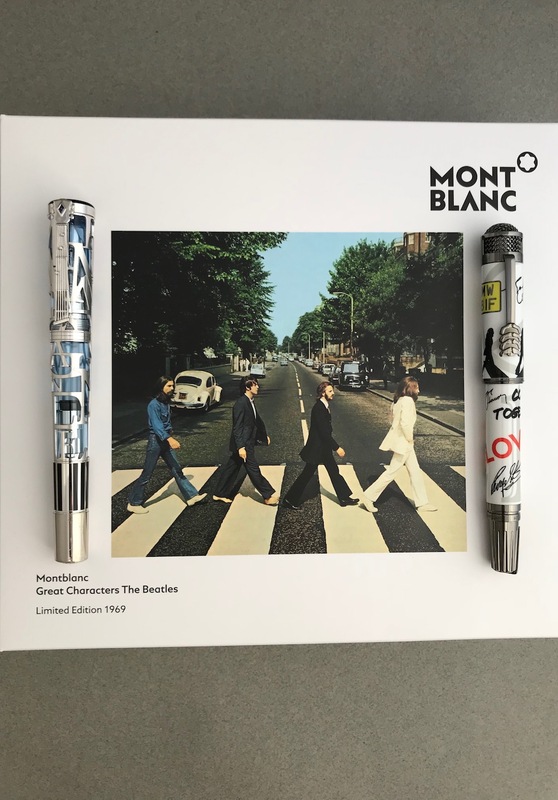 This Montblanc Great Characters The Beatles Limited Edition 1969 is dedicated to the most successful band of the 20th century. 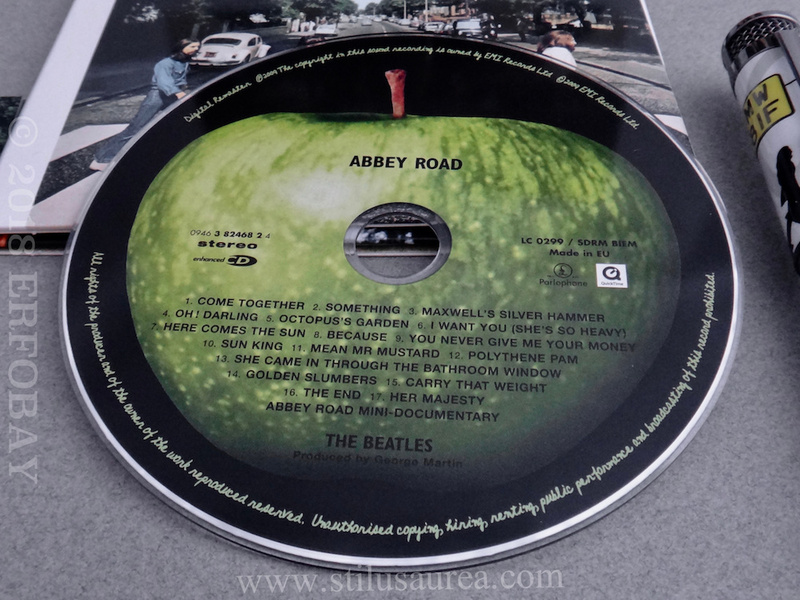 When we come to think about the Beatles it is natural to figure them while crossing Abbey Road, where the recording studio of the band was based. 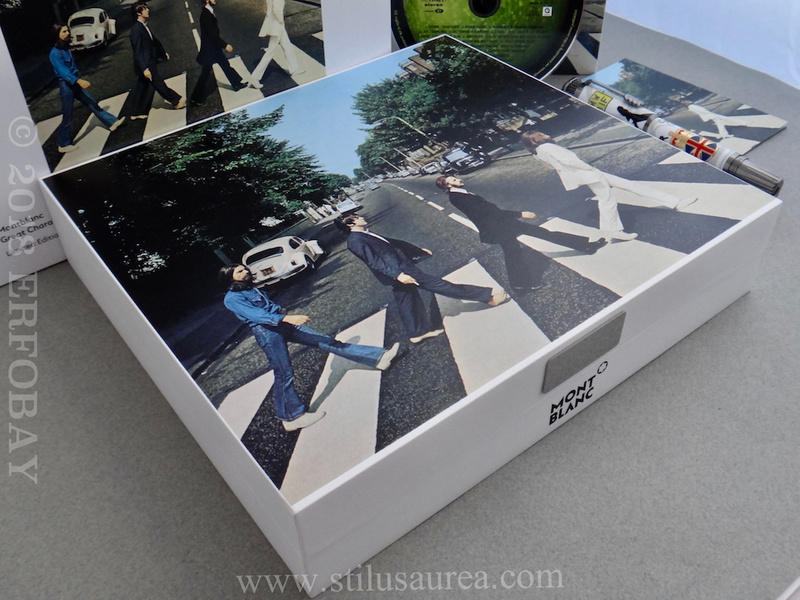 Here the magic of inspiration – along with outstanding technical equipments – gave birth to over 200 compositions, from the early hit “She loves you”(1963) to “Let it be”(1969). 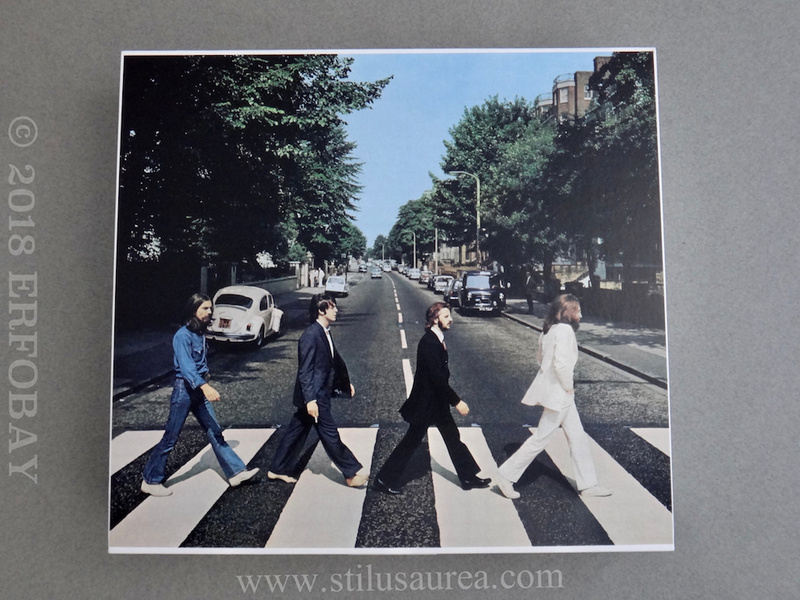 “Abbey Road” was also the name of the iconic album released in 1969, where we find the the four components crossing the (now famous) road in line. 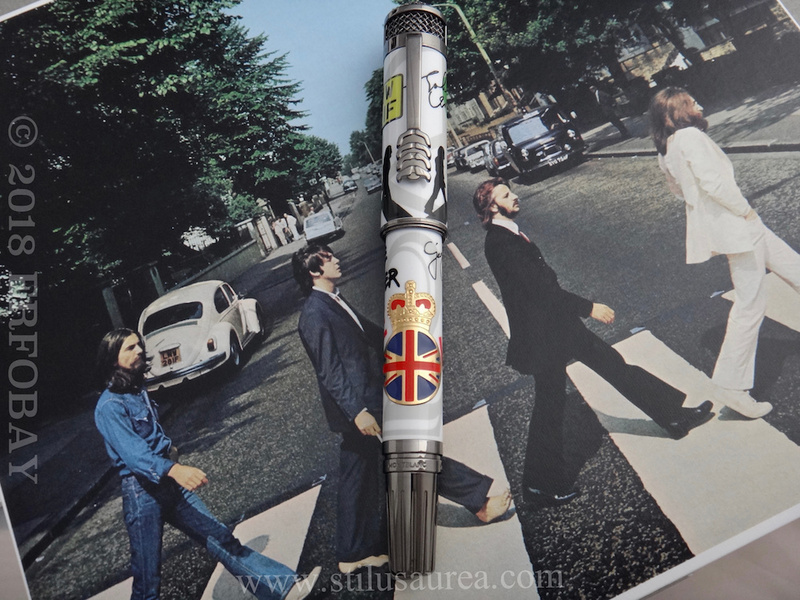 To recall the bright moments of composition and recording happening inside the studios the writing instrument silouhette is shaped like a “tube microphone” of the Beatles Era and the cone is “made” of buttons of a sound mixing console. 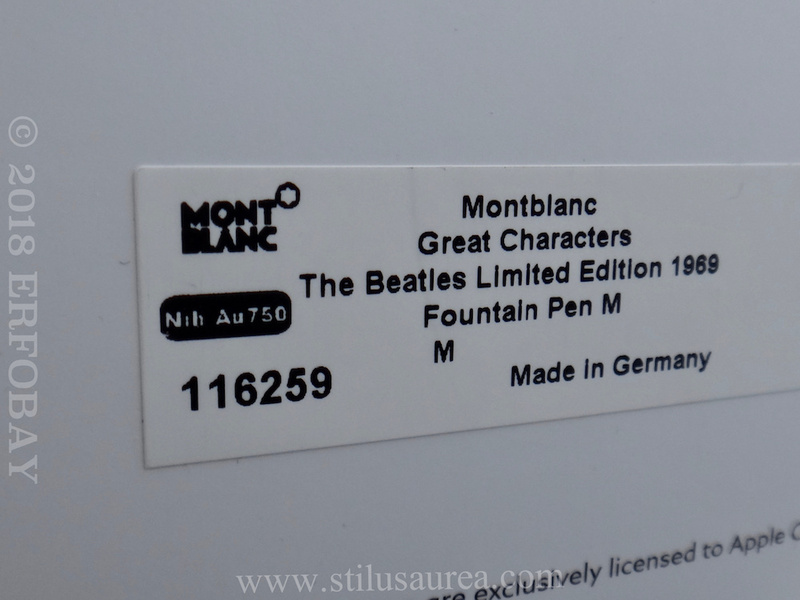 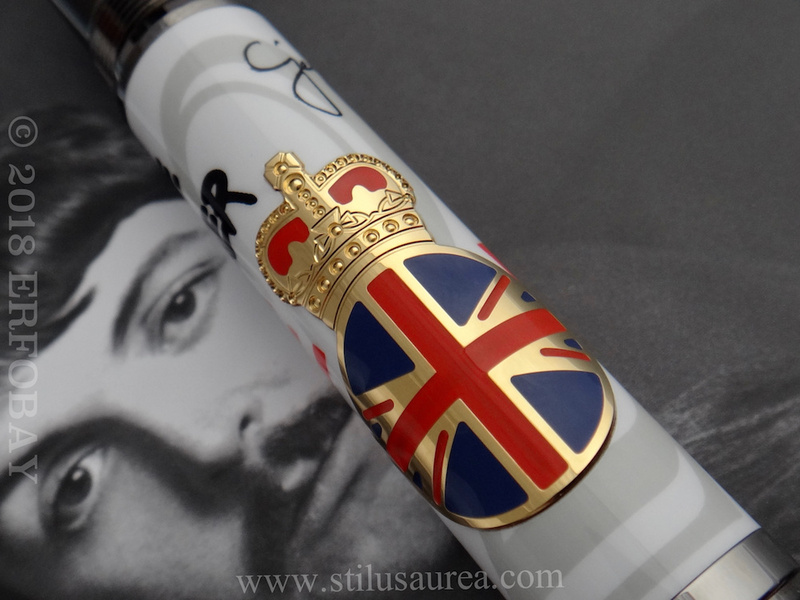 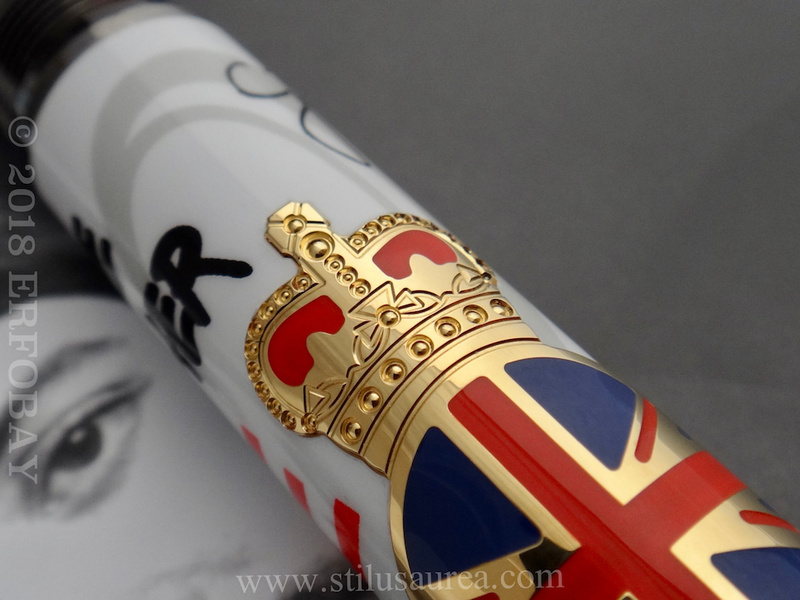 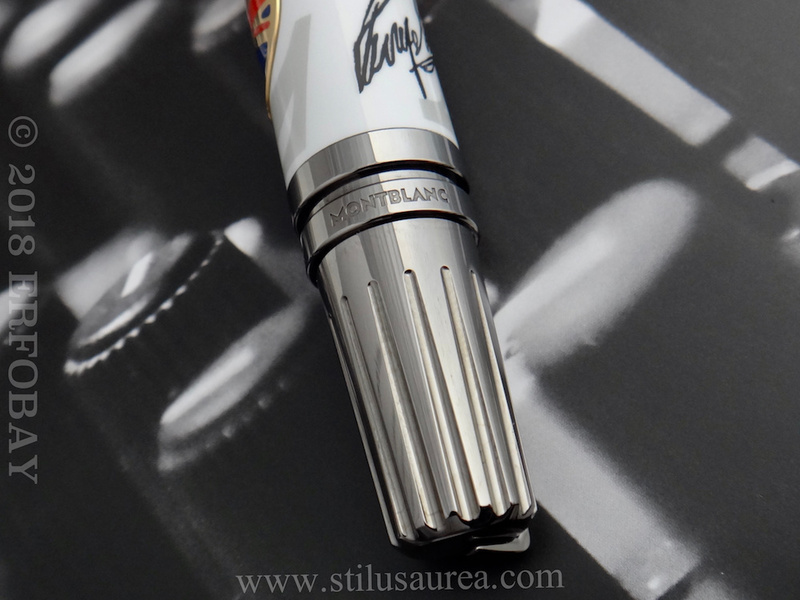 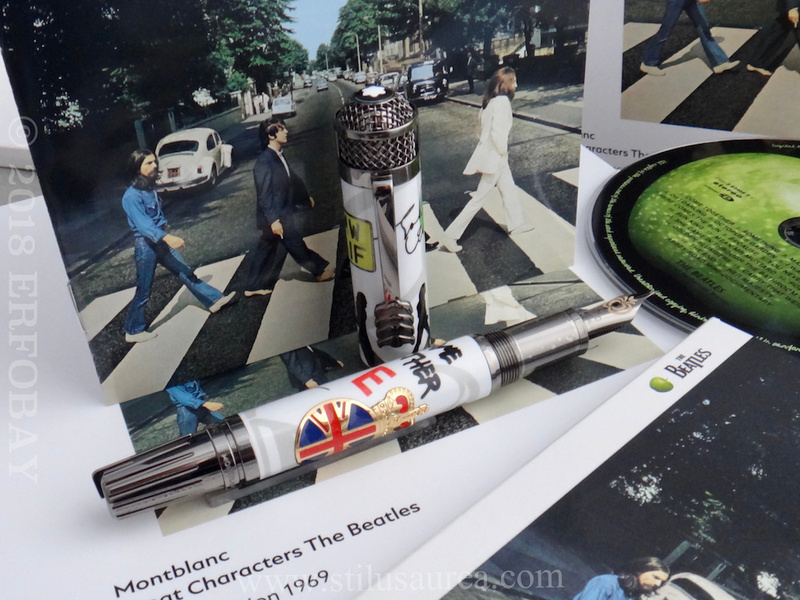 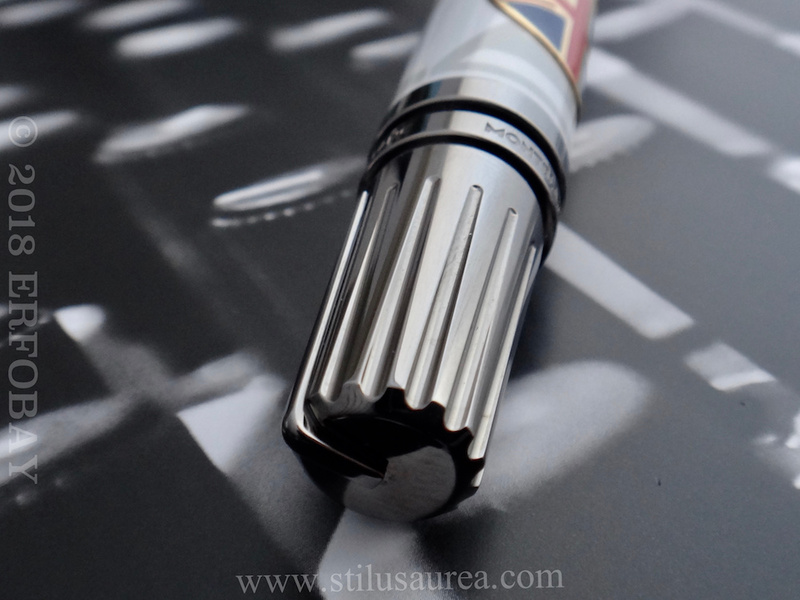 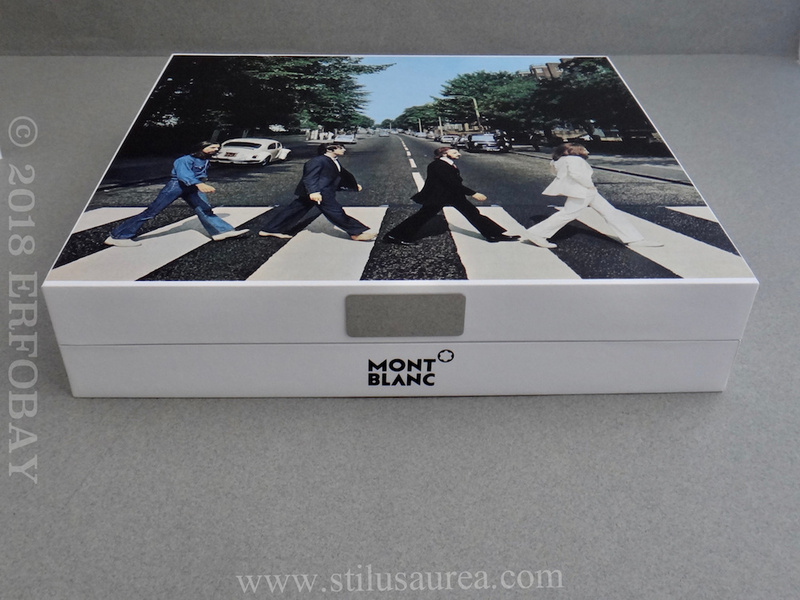 The Montblanc Great Characters The Beatles Limited Edition 1969 features a collage of memorabilia in lacquer and metal inlays including the Union Jack symbol, the license plate (LMW 28IF) of a VW that was depicted on the Abbey Road cover, the PEACE symbol, the silhouettes of the Fab 4 on the zebra crossing and the four Beatles signatures. 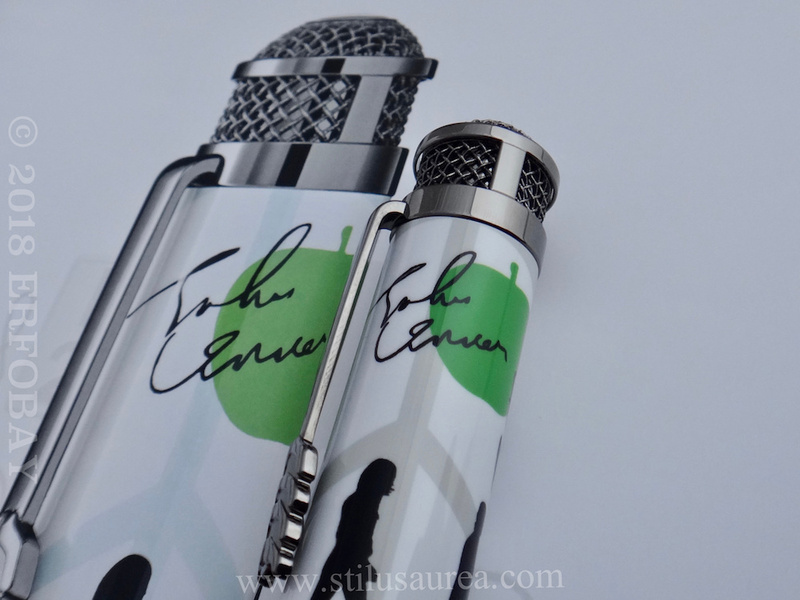 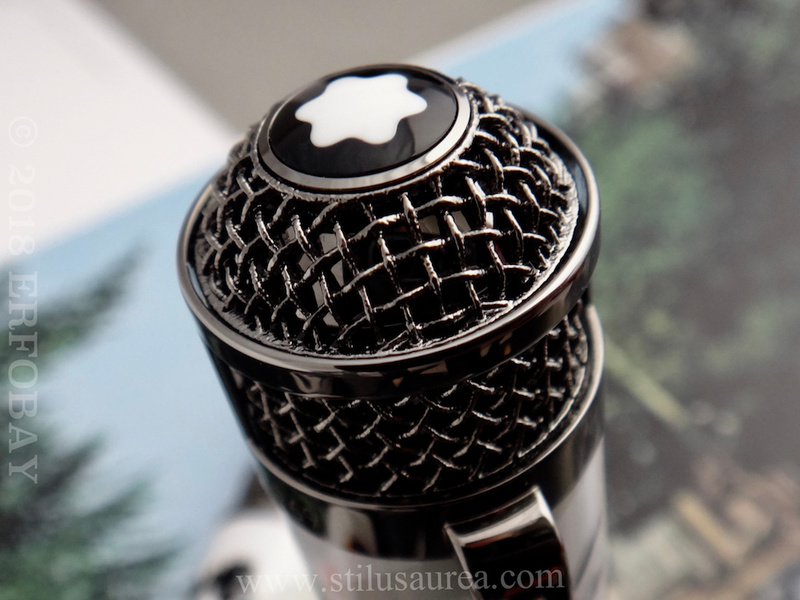 The straight shape of the cap as well as the metal top cap are inspired by the silhouette of the microphone from Abbey road recording studio. 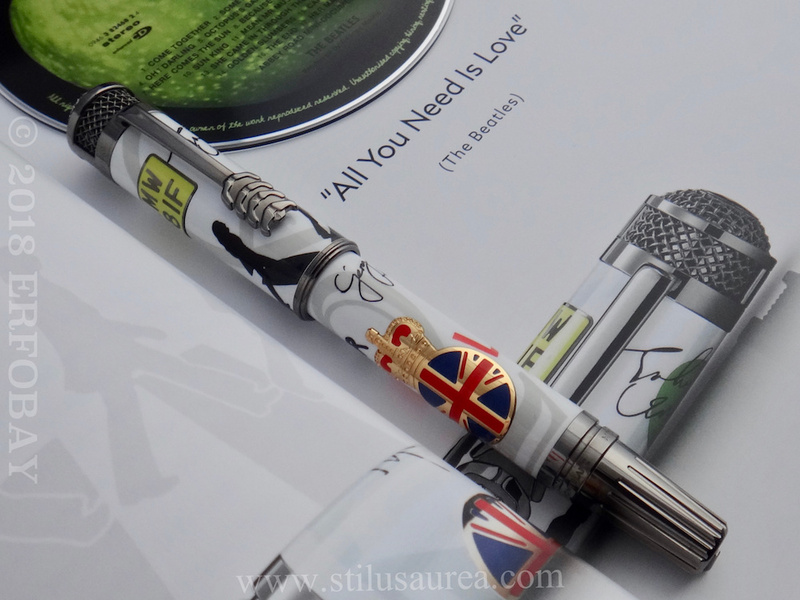 The cap-top is crowned by the MB emblem in black and white precious resin. 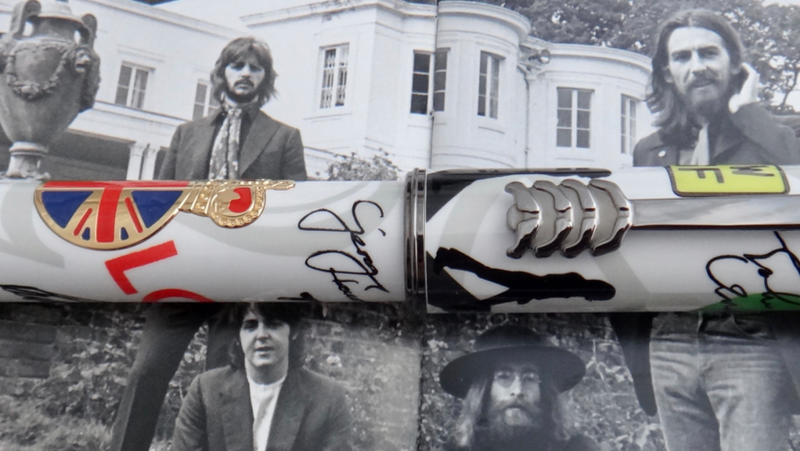 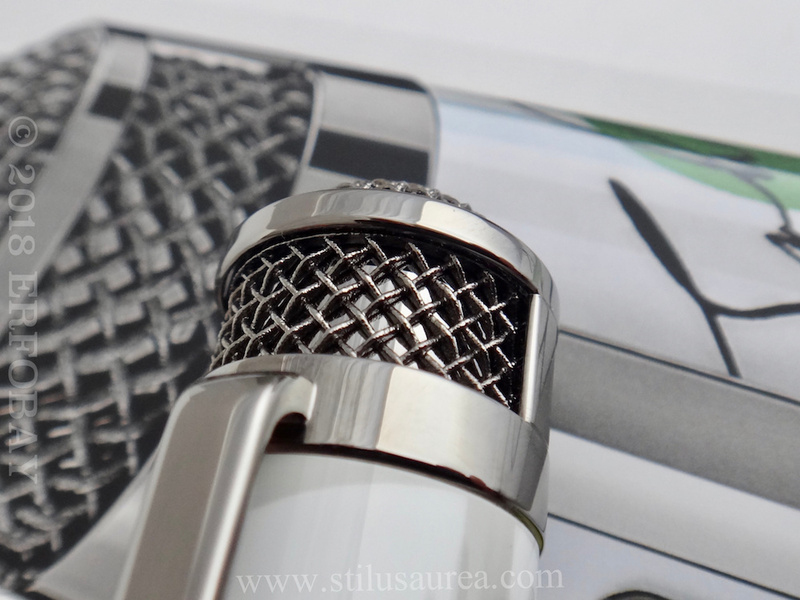 The four moustaches on the ruthenium-coated clip are a nostalgic tribute to the iconic style of the Fab4. 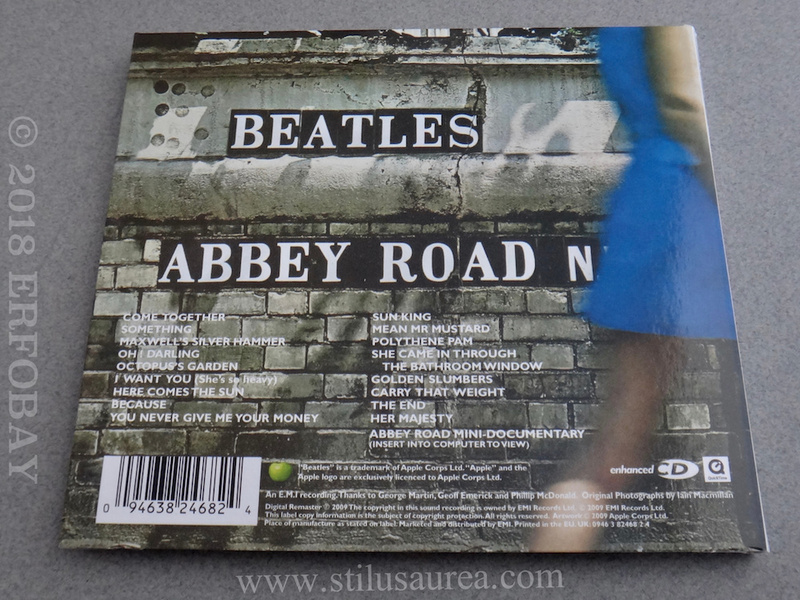 The number 12 in the background is in reference to Abbey Road being the 12th UK studio album released by The Beatles. 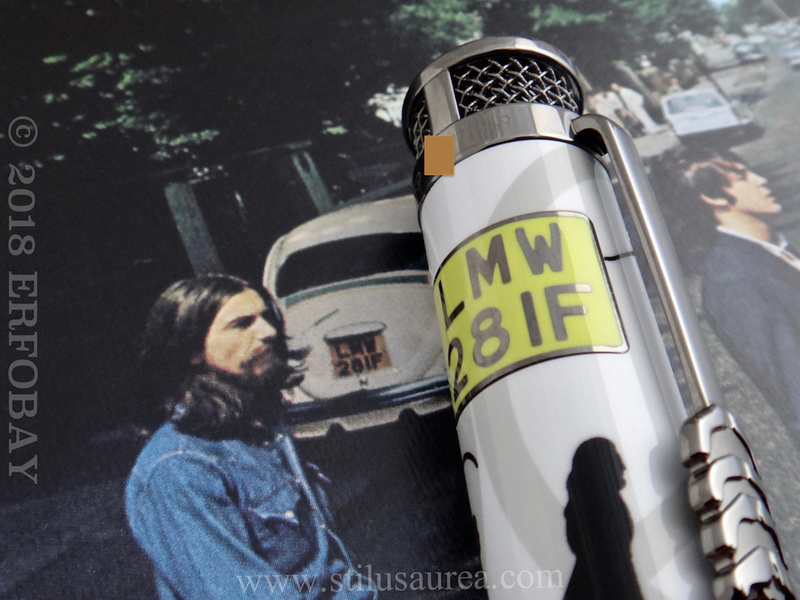 The LMW 28IF refers to the license plate of a VW that was depicted on the Abbey Road cover. 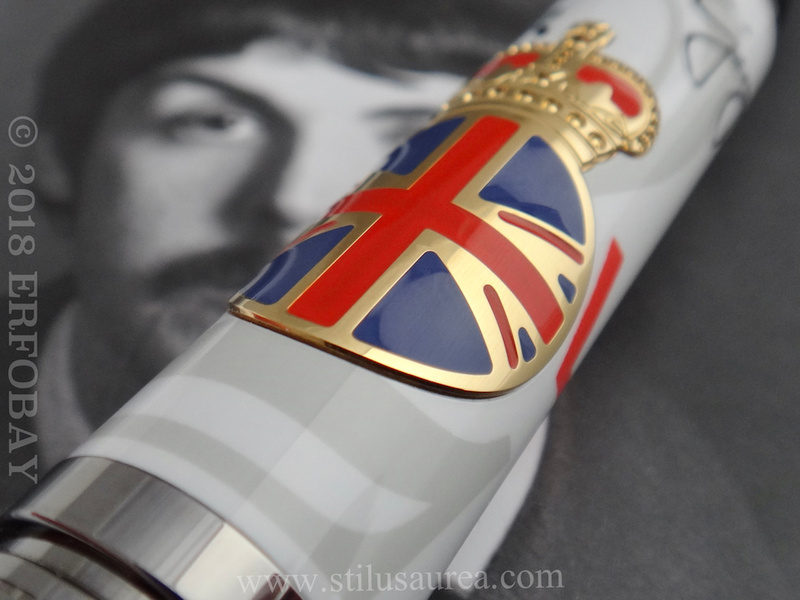 There are also additional British icons such as the Union Jack symbol which is linked to the Her Majesty song from Abbey road Album. 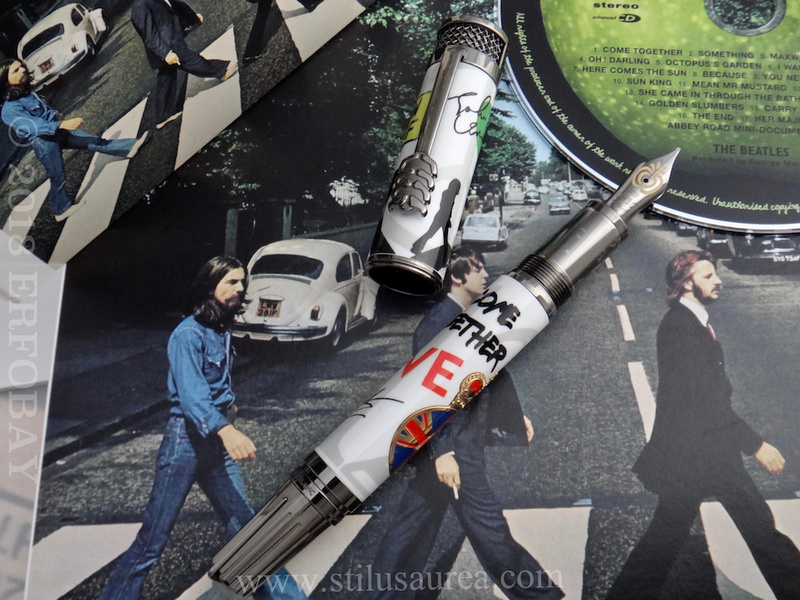 Come together and Love Love Love refer to song She Loves you. 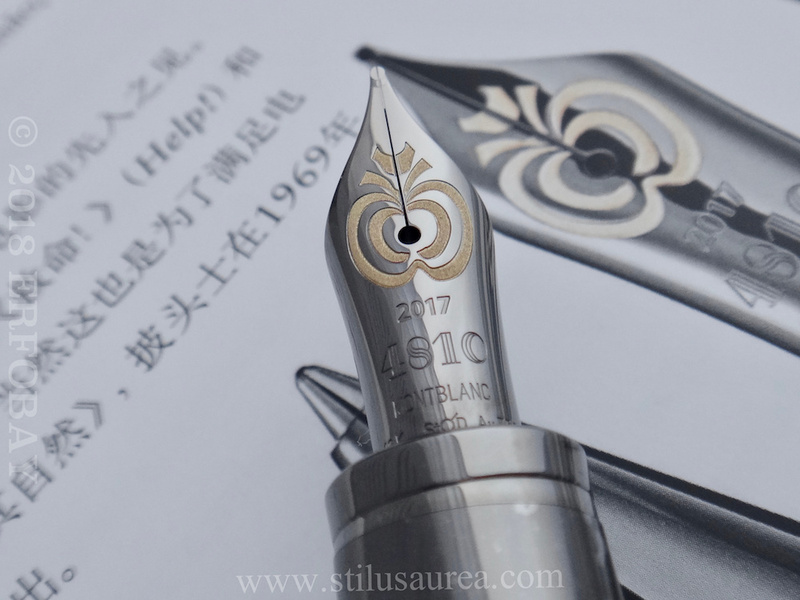 On the handcrafted ruthenium-coated Au 750 gold nib we find engraved the famous Apple logo, in honour of the music company Apple Corps ltd. founded by the Beatles. 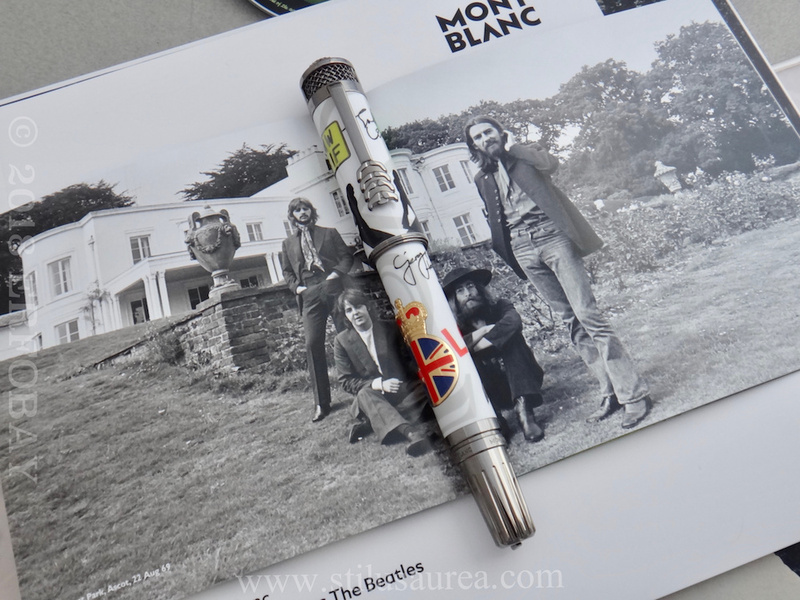 On the headquarter’s rooftop the band performed what was their last public show, in occasion of the “making of” their final videoclip “Let it be” in January 1969. 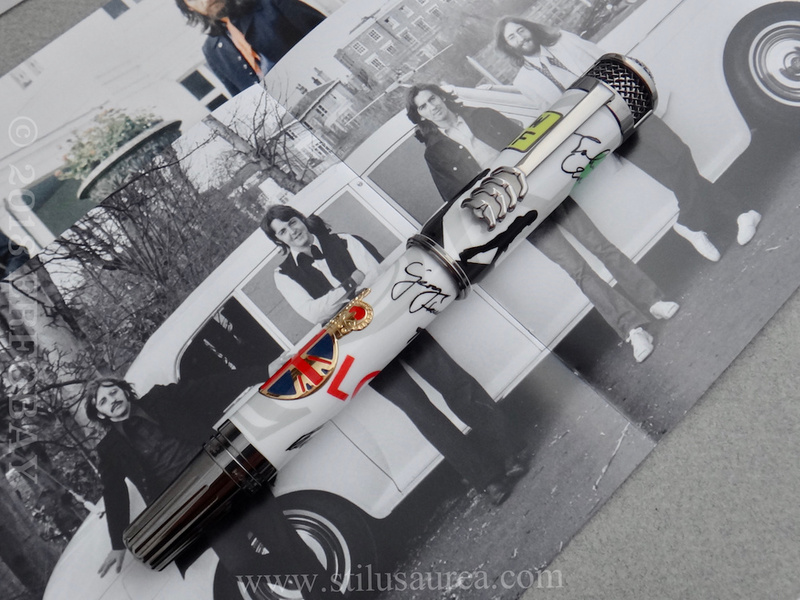 In reference to the release date of Abbey Road (the last albun the band recorded together), this LE is limited to just 1969 pieces. 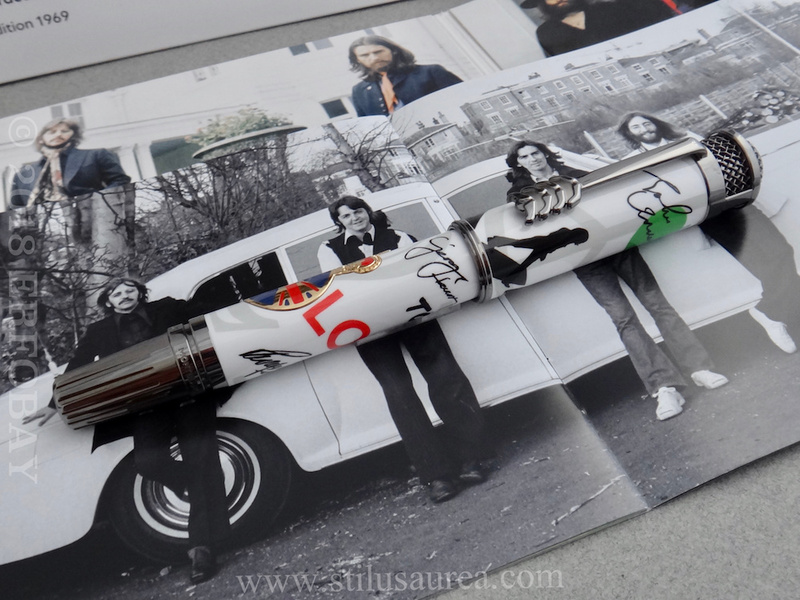 The concerned pen comes in new, still factory sealed condition. 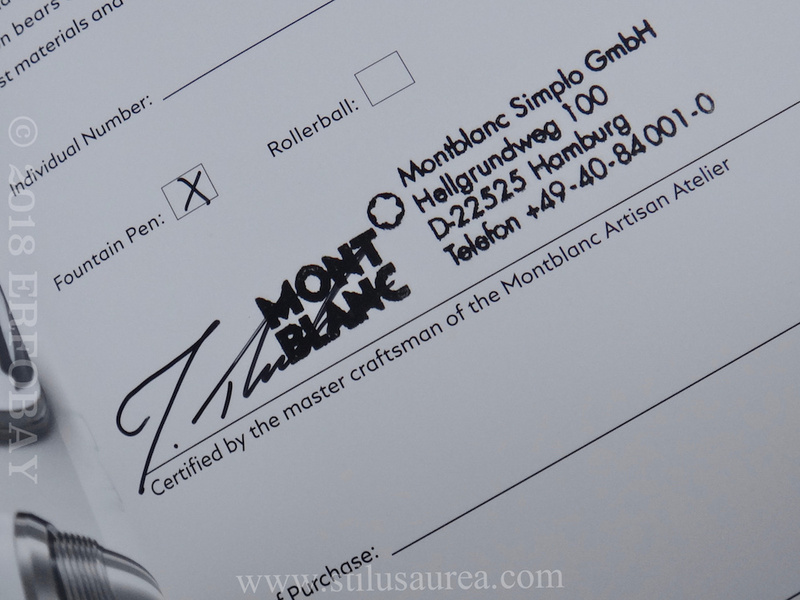 Never inked & never used. 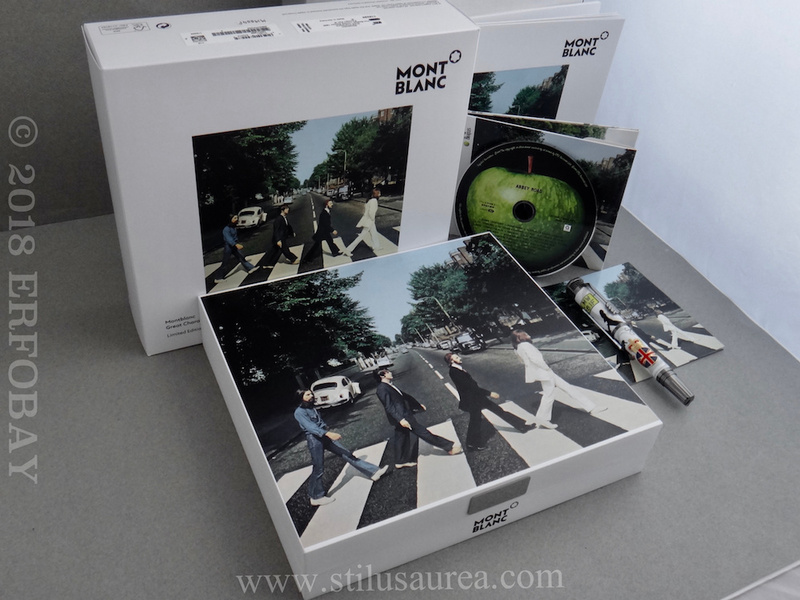 It comes with all original boxes, papers and packaging (Abbey Road CD is included as well). 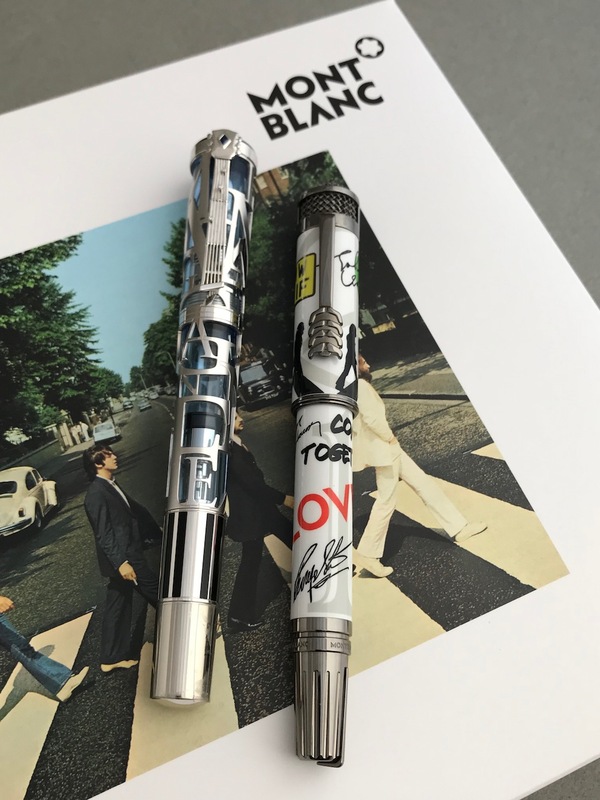 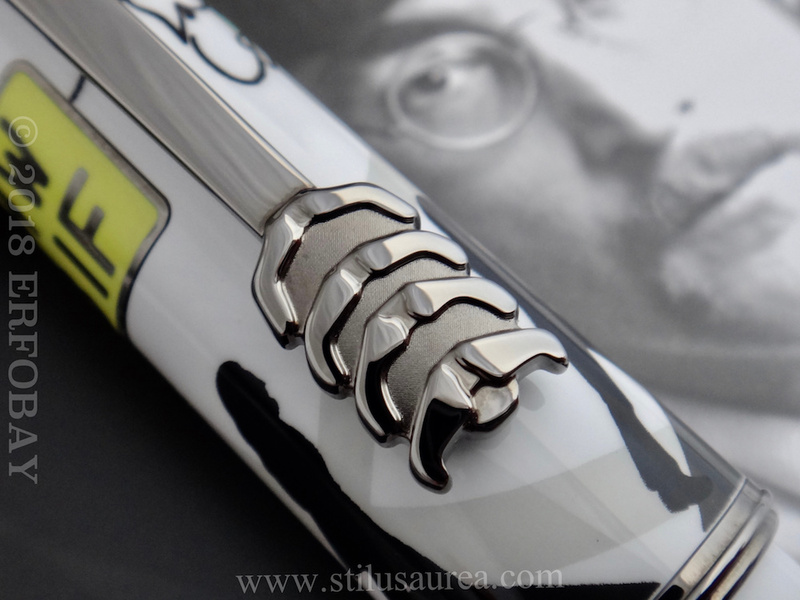 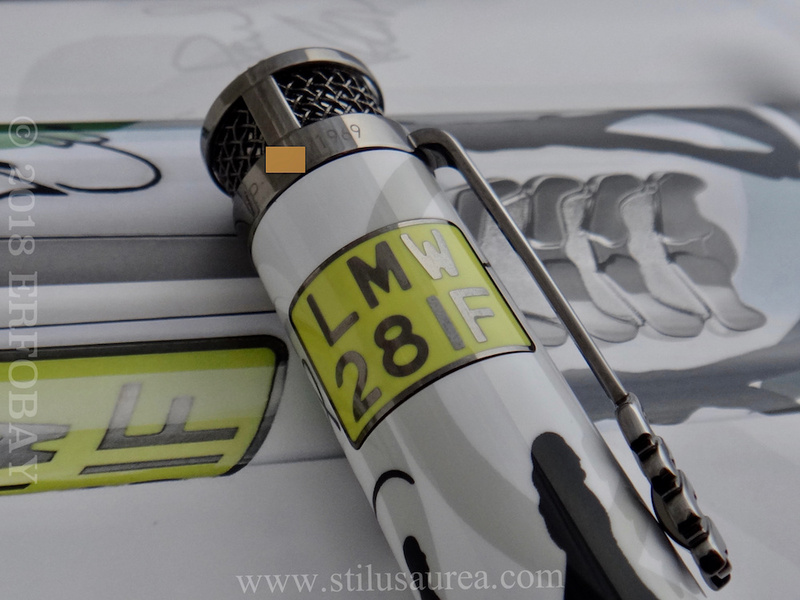 Which model would you prefer: MONTBLANC Commemoration (Donation Pen) John Lennon Skeleton LE70 (Year 2010) or MONTBLANC Great Characters The Beatles LE1969 (Year 2017)?